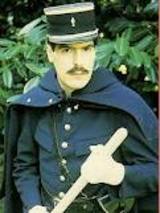 The ‘French’ gendarme in the Allo’ Allo’ TV series was an amusing impostor and, I have to tell you, there was more to the French team the All Blacks beat 37-17 last night than meets the eye as well. It was a cold winter afternoon on the 26th June 1999. I and a bunch of friends sat shivering up in the infamous Millard Stand at Athletic Park here in Wellington on the occasion of the last test match that legendary venue was to host before being pulled down. We had scored ourselves the ultimate seats for this historic test match, right up in the highest row of the Millard. Near to kickoff time Murray Mexted slowly ascended the perilously steep stand steps aided by two sherpas. As he summited and divested himself of his ropes and crampons, he bantered with the crowd, then made the even more perilous climb up a ladder and into the little shed perched on four spindly pillars of rust known, laughably, as the ‘commentary box’. Looking down from the top of the Millard from just underneath that shed, the view was perfect, but not one for sufferers of vertigo. There it was laid out like a snooker table below you, the stand angle so steep that you felt if you over-balanced forwards, you would end up in a free dive onto the kickoff spot. To add to the atmosphere, one of Wellington’s famous southerlies was streaming across the ground, freezing the fans, and rattling the questionable latticework of rusty ‘meccano’ which comprised The Park. But we loved it all the same and The Caketin is no replacement. But I digress. That day the French were paying the All Blacks a visit for a ‘warm-up’ test prior to the 1999 Rugby World Cup which was to kick off later on that year in October. As well as seeing off Athletic Park, I and 38,000 other fans had come to see the All Blacks begin their Cup preparations in style, and they didn’t disappoint, winning emphatically by 54-7 and scoring 7 tries to 1. After the match we had a great evening, and toasted how good this All Black team were looking, and what a great psychological filip it was to have put them firmly in their place before the tournament. The next day I was flying back to Auckland and happened to find myself on the very same plane as the French team, with a couple of them sitting next to me. I looked around surrepticiously and listened, taking care not to look too much like a smug All Blacks fan. However it quickly became apparent that, far from being a team smarting from their loss, the French were in great humour. They weren’t bubbly, exactly, they were just calmly enjoying the trip like a bunch of tourists. It became clear that the result mattered not a jot to them. They had come down to New Zealand to have a good time, play some rugby, perhaps gather some intelligence on us, and then return. Nothing more. It’s a facet of New Zealanders, insofar as rugby is concerned, that we struggle with this concept. We can’t imagine travelling across the World to play an international test match without doing all we can to win, and to agonise over the whys and wherefors if we lose. History shows that the French rose to the occasion in the semi-final of that World Cup to knock the All Blacks out of the tournament with one of the most fabulous come-from-behind victories in the history of the game. The recollection still hurts like hell, as an All Black fan. Fast-forward to the Rugby World Cup pool game against France last night. There was a lot of talk during the week about France fielding a ‘B’ team, and not attempting to win the game. The only thing I have to say about this is that, although no team goes onto the paddock with a mindset that they want to lose the game, there is an approach (with the French especially) whereby they aren’t going to be in their cups sobbing about a loss in a local bar in the wee hours if they do happen to come second. This is the case here. The French have obviously looked at the Pool, looked at what lies ahead in the knockout stages, and rightly fixed on the pathway which suits them, and that is to come second in the Pool. They went out with a lower than top-strength team, saving some of their players and strategies for later. The All Blacks, for their part treated this very much as a full test match, fielding their top XV and going all out to win, as they had to. For 40 minutes (from the 10th minute to the 50th) they played some sublime rugby, with Dan Carter back to his shimmying best and, apart from goal-kicking, looking every bit the best No.10 in the Cup so far. After initial mistakes the Smith/Nonu midfeld looked strong and penetrating, and Israel Dagg was simply mercurial. In the forwards Richie McCaw, earning his 100th test cap no less, was his usual legendary self, aided and abetted by Jerome Kaino, about whom some French forwards will be having nightmares for days. But it was far from an 80 minute performance, a fact not lost on Graham Henry who rated it 8 out ot 10. Carter threw an intercept try to the French, there were defensive lapses, and after the 50th minute play became very loose and lost structure. More worryingly the substitution of Hore and Williams on for Mealamu and Whitelock caused the scrum to go from being dominant to being dominated. Woodcock went from damaging his opposite to getting penalised for putting a hand on the ground. This caused the All Blacks to concede ground, penalties and eventually a try. Seen as a progressive improvement this pool game was excellent, as long as the problems and flaws which were exposed are addressed. to that team, and neither will the test. 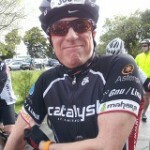 This entry was posted in Test Rugby and tagged All Blacks, France, RWC, Test, Tour. Bookmark the permalink.